The UCSO requests each applicant to contact our Human Resources Director for an application packet. Please email Mrs. Bosch at abosch@co.union.oh.us for your application packet. 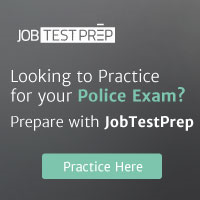 To apply and schedule testing, go to http://www.nationaltestingnetwork.com and click on LAW ENFORCEMENT. Select the department and read over all the requirements and if qualified, select a testing location and a time and date for testing on the website calendar. For questions concerning the testing process, please contact NTN Customer Support at 866-563-3882. Return to the Ohio Jobs page.